Drive Multisport, LLC offers professional triathlon, cycling, and run coaching services for athletes who want more than just a training plan. We offer specialized attention for athletes who are serious about their goals, but don’t have the time to put together all of the pieces. Athletes who have full lives with families and careers, but still want to reach their peak performance. We prefer things practical, clear, and focused on the athletes goals. Coming from a single-sport running background, 2018 will be my 11th season racing triathlon. In 2007, I decided to move to multi-sport and have found triathlon to be intense, but very rewarding. With over 65 races in 10 years, I have raced all distances from Sprint to Ironman. 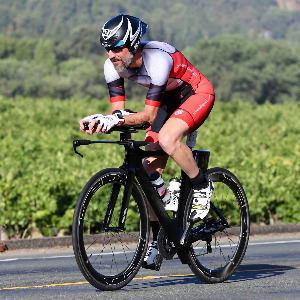 In 2008, I began long-course racing including 20+ Half irons (70.3), and 8 Ironmans (Ironman Florida 2010 & 2013, Ironman Louisville 2012 & 2016, Ironman Canada 2015, Ironman Texas 2016, Ironman Santa Rosa 2017, and Ironman Arizona 2018). I am a USA Triathlon (USAT) Level 1, USA Cycling (USAC) Level 2, and a USA Track & Field (USATF) certified coach, and can be a coaching resource for beginners, seasoned athletes, all the way to those wanting to train for ultra-distance events such as Ironman (140.6). My passion is to show you what this sport can do for your life. I can help you train and perform at your full potential, while still focusing on other important aspects of your life such as family and career. I work primarily with athletes who train with HR and Power Meters. Success. Coach Jeff Lukich has been notified of your message. To hire Jeff Lukich as your coach, select the coaching service that is right for you.